What is striking about recent research on residential care is not only its national bias and its tendency to neglect regional variations in ‘texture’, but also its preoccupation with contemporary issues and its lack of historical context. The notion of contingency, that is, the idea that things might have evolved differently, often seems to be missing. Moreover, most of the literature appears to be one-dimensional, downplaying the diversity, complexity and ambiguity of real developments. It often lacks an awareness of the power of precedents in shaping society’s attitudes to residential care and the practical responses to this problem. This is particularly important because, as this article tries to demonstrate, the present situation of residential care reflects the cumulative impact of traditions and cultural norms, of past decisions and commitments. The aim of this article is to examine recent historiographical trends relating to residential care for older people in contemporary Britain and Japan. It begins by identifying some of the prevailing preconceptions that have coloured writing on this increasingly important subject as well as the implications of these preconceptions. It then considers attempts to broaden our historical understanding of this issue, balancing national perspectives with a sensitivity towards regional imperatives and differences in the local implementation of residential care policy at the institutional level. I propose a comprehensive appreciation of the complexities of providing residential care that builds on an eclectic approach to research, embracing both historical perspectives and the insights of complementary disciplines. Finally, the article examines the possibilities of enriching national perspectives by employing transnational and cross-cultural approaches, and assesses methodological challenges to which this approach might give rise. Throughout the world, societies are ageing. This can be witnessed in Britain, but above all in Japan. In 1900 around 5 per cent of the population of the United Kingdom and Japan were aged 65 years or over. By 2010 this number had increased to 17 per cent and 23 per cent, respectively, a trend that is likely to continue.1 One consequence of this phenomenon has been a considerable interest in ageing and its associated ramifications in recent decades in both countries. Paramount among these concerns has been the residential care of older people, reflected in a growing body of literature on this core social issue. With specific reference to the elderly, the sociologist Erving Goffman raised the problem of mentally ill older people in nursing homes in his seminal work Asylums in 1961.4 Meanwhile, in Britain Russell Barton suggested that mental hospitals themselves created this illness.5 Barbara Robb painted a bleak picture of the conditions older, chronically ill patients had to endure in psychiatric hospitals, as did Michael Meacher, who described residential homes for confused older people.6 Strengthening the sociological contribution to these studies, Peter Townsend presented evidence that residential homes failed to offer ‘the advantages of living in a “normal community”’, features of which (notably family association) Peter Willmott, Michael Young and Townsend studied in detail.7 It could be argued, however, that many of these studies exhibit a left-inspired intellectual bias towards an idealisation of ‘community’. In Japan, there were fewer studies of the subject before 1990, reflecting the later development of institutional provision, and correspondingly a less intense interest among Japanese scholars. For instance, a translation of Goffman’s Asylums into Japanese did not appear until 1984. If taboos surrounded the subject of residential care in Britain, these were nothing in comparison to the stigma prevailing in Japanese society, where strong traditions of family and community orientation have shaped people’s attitudes. Moreover, these have been deeply imbued with a Confucian ethos, including a strong emphasis on filial piety and children’s obligations to their parents. Considerable reticence surrounds the entire subject, and there is a reluctance to expose it to the gaze either of public policy makers or of researchers. Similarly, although the importance of integrated or ‘seamless’ care has been increasingly recognised in both countries, residential care has received less attention than the preferred option, community care. By the same token, residential or long-term care in health care settings (e.g. long-term stays in geriatric hospitals) has been largely overlooked or treated as a distinct rather than integrated response. The result is that health and social care have tended to be discussed as entirely separate strands, whereas in fact they frequently converge. Overall, then, the focus of discussion has been on current policy and practice. Little attention has been paid to historical contexts and the local dimension or grassroots realities. For instance, in Britain’s case, many studies in this area have overlooked the significance of the workhouse legacy, especially in terms of its influence on popular attitudes to residential care. Valuable contributions supplementing the work of historians have come from social scientists such as David Thomson, who has presented detailed statistical findings on residential care trends for older people in England since 1840, as well as Robin Means and Randall Smith, who have published a history of welfare services for older people in Britain from 1939 to 1971 (subsequently updated to the 1990s).14 Meanwhile, in Japan Yuji Ogasawara has contributed a history of residential care for older people since 1880, which remains the definitive historical synopsis.15 Other Japanese social scientists have added historical studies on the development of welfare provision for older people in post-war Japan, while in the United States John C. Campbell presented his perspective in How Policies Change. The Japanese Government and the Aging Society, which was later translated into Japanese and is widely referred to by Japanese scholars.16 Unfortunately, while some English-language literature has been translated into Japanese, relatively little Japanese scholarship has been translated into English. Although the emphasis on historical and longer-term perspectives is welcome, much of this work continues to reflect a bias towards national or central government objectives, legislation and regulations. Its top-down approach may have encouraged a simplistic reading of local variation and practice, which reveal the true dynamics, mutability and complexity of the actual development of residential care. Perhaps reflecting the relatively small-scale nature of residential care, there are still very few regional studies of provision in Japan. In contrast, British scholars have been more active. Amelia Harris scrutinised social services provision for older people in thirteen local authority areas across Britain.17 Muriel Brown, meanwhile, adopted an explicitly historical perspective in her study of four English local councils from 1948 to 1965, tracing developments and changes and examining the relationship between central legislative intentions and local administrative implementation.18 Detailed analysis of local situations can therefore bring to light not only the divergent needs of different communities, but also the challenges of applying centrally determined policies in different circumstances. In many cases compromises have to be found, especially in light of scarce resources (for example the extended use of workhouses in Britain into the 1970s, well beyond their intended lifespan). Nevertheless, many regional studies lack a longer-term perspective and mainly reflect the viewpoints of local authorities, treating the latter as the minimum unit and rarely touching on grassroots provision and services, or the views of residents and staff. Meanwhile, anthropologists have added yet another dimension by examining residential life in depth, taking a ‘participant observation’ approach. Yongmei Wu and Diana Lynn Bethel have respectively depicted the lives of residents in a long-term care complex in a Tokyo suburb and a nursing home in a rural northern town, and Leng Leng Thang has examined a pioneering age-integrated facility founded in 1990, which accommodates both nursery children and older people.24 Earlier, Jeanie Kayser-Jones provided a comparative and international perspective by examining a long-term care institution in Scotland and a comparable institution in the United States.25 Although providing insights into institutional life through the eyes of the residents and staff, these works typically reflect the current situation and lack an historical perspective. Bearing this in mind, there is much to be gained from a comparative approach. At the most obvious level, comparison allows for the possibility to learn from previous successes and failures, which transcends national boundaries. Similarly, an historical comparative approach encourages a deeper appreciation of causality, which in turn may feed into, and strengthen, empirically grounded policy formulation. Finally, careful historical comparison can offer a useful corrective to widely prevalent teleological interpretations of the evolution of welfare provision, which so often privilege a model derived from western European experiences. 1 Brian R. Mitchell, International Historical Statistics, Europe 1750–2005, 6th edn Basingstoke 2007, pp. 41-43; Brian R. Mitchell, International Historical Statistics, Africa, Asia and Oceania 1750–2005, 5th edn Basingstoke 2007, p. 25; United Nations, World Population Prospects. The 2012 Revision Population Database, URL: <https://esa.un.org/unpd/wpp/Publications/>. 2 Ronald D. Laing/Aaron Esterson, Sanity, Madness and the Family, London 1964. Significantly, Laing, along with David Cooper, would help to produce the first English-language edition of Madness and Civilization, the first major work by Michel Foucault, who anticipated many of the arguments of the anti-psychiatry movement, seeing the asylum largely in terms of social control, and as the only institution where therapy for the ‘insane’ could be administered: Madness and Civilization. A History of Insanity in the Age of Reason, abridged edn London 1967. 3 Yongmei Wu, The Care of the Elderly in Japan, London 2004, p. 11; Kathleen Jones, The Development of Institutional Care, in: Eric Butterworth/Robert Holman (eds), Social Welfare in Modern Britain, London 1975, pp. 286-298, here p. 290. 4 Erving Goffman, Asylums. Essays on the Social Situation of Mental Patients and Other Inmates, New York 1961. 5 Russell Barton, Institutional Neurosis, Bristol 1959. 6 Barbara Robb, Sans Everything. A Case to Answer, London 1967; Michael Meacher, Taken for a Ride. Special Residential Homes for Confused Old People – A Study of Separatism in Social Policy, London 1972. 7 Peter Townsend, The Last Refuge. A Survey of Residential Institutions and Homes for the Aged in England and Wales, abridged edn London 1964, p. 190; Peter Willmott/Michael Young, Family and Kinship in East London, 2nd impression London 1960, pp. 155-166; Peter Willmott/Michael Young, Family and Class in a London Suburb, London 1960, pp. 123-132; Peter Townsend, The Family Life of Older People. An Inquiry in East London, London 1957. 8 Emily Grundy/Tom Arie, Falling Rate of Provision of Residential Care for the Elderly, in: British Medical Journal 284 (1982), pp. 799-802. 9 Kathleen Jones, We Need the Bed, in: Raymond Jack (ed. ), Residential versus Community Care. The Role of Institutions in Welfare Provision, Basingstoke 1998, pp. 140-153; Paul Higgs/Christina R. Victor, Institutional Care and the Life Course, in: Sara Arber/Maria Evandrou (eds), Ageing, Independence and the Life Course, London 1993, pp. 186-200. 10 Isobel Allen/Debra Hogg/Sheila Peace, Elderly People. Choice, Participation and Satisfaction, London 1992, p. 309. 11 Anne Digby, British Welfare Policy. Workhouse to Workfare, London 1989, p. 1. 12 Pat Thane, Old Age in English History. Past Experiences, Present Issues, Oxford 2000. See also Paul Johnson/Pat Thane (eds), Old Age from Antiquity to Post-Modernity, London 1998. 13 Yoshimasa Ikeda, History of Japanese Social Welfare, Kyoto 1986; Kyuichi Yoshida, New Edition: History of Japanese Social Philanthropy and Welfare, Tokyo 2004. 14 David Thomson, Workhouse to Nursing Home. Residential Care of Elderly People in England since 1840, in: Ageing and Society 3 (1983), pp. 43-69; Robin Means/Randall Smith, From Poor Law to Community Care, 2nd edn Bristol 1998; Robin Means/Hazel Morbey/Randall Smith, From Community Care to Market Care? The Development of Welfare Services for Older People, 1971–1993, Bristol 2002. 15 Yuji Ogasawara, 100-year History of Homes for the Elderly, in: National Council of Social Welfare (NCSW)/National Council of Elderly Homes (NCEH) (eds), Fifty-year History of National Council of Elderly Homes, Tokyo 1984, pp. 3-154; Yuji Ogasawara, Homes for the Elderly in the Past Decade, in: NCSW/NCEH (eds), Sixty-year History of National Council of Elderly Homes, Tokyo 1995, pp. 25-74. 16 John C. Campbell, How Policies Change. The Japanese Government and the Aging Society, Princeton 1992, Japanese translation by Fumio Miura and Shuichi Sakata, Tokyo 1995; Takashi Momose, History of Elderly Welfare in Japan, Tokyo 1997; Takiko Okamoto, The Development of Elderly Welfare. From Charitable Work to Social Welfare, Tokyo 2004. 17 Amelia I. Harris, Social Welfare for the Elderly. A Study in Thirteen Local Authority Areas in England, Wales and Scotland, 2 vols, London 1968. 18 Muriel Brown, The Development of Local Authority Welfare Services from 1948–1965 under Part III of the National Assistance Act 1948, PhD dissertation, University of Manchester 1972. 19 Yasuko Ichibangase, Meaning and Challenges of Research on Institutional History, in: Journal of History of Social Work 2 (1974), cited in Yasuko Ichibangase (ed. ), Historical Sources for Social Welfare, vol. 2, Tokyo 1994, p. 181. 20 Yasuko Ichibangase, 100-year Tokyo Borough Almshouse, Tokyo 1973. 21 Keiso Imura, History of Old People’s Almshouses in Japan, Tokyo 2005, p. 2. 22 For example, Anne Digby, Madness, Morality and Medicine. A Study of the York Retreat 1796–1914, Cambridge 1985; John Crammer, Asylum History. Buckinghamshire County Pauper Lunatic Asylum – St. John’s, London 1990; Jonathan Andrews et al., The History of Bethlem, London 1997. 23 For example, Steven Cherry, Mental Health Care in Modern England. The Norfolk Lunatic Asylum/St Andrew’s Hospital, c. 1810–1998, Woodbridge 2003; Yasuo Okada (a medical doctor), Matsuzawa Hospital. A Private History, 1879–1980, Tokyo 1981. 24 Wu, The Care of the Elderly in Japan (fn. 3); Diana L. Bethel, Alienation and Reconnection in a Home for the Elderly, in: Joseph J. Tobin (ed. ), Re-made in Japan. Everyday Life and Consumer Taste in a Changing Society, New Haven 1992, pp. 126-142; Leng L. Thang, Generations in Touch. Linking the Old and Young in a Tokyo Neighbourhood, Ithaca 2001. 25 Jeanie Kayser-Jones, Old, Alone, and Neglected. Care of the Aged in Scotland and the United States, Berkeley 1981. 26 Gøsta Esping-Andersen, The Three Worlds of Welfare Capitalism, Cambridge 1990, Japanese translation by Taro Miyamoto and Norio Okazawa, Kyoto 2001. 27 For example Arthur Gould, Capitalist Welfare Systems. A Comparison of Japan, Britain and Sweden, London 1993, Japanese translation by Masaaki Nimonji, Susumu Takashima and Yoshio Yamane, Kyoto 1997; Misa Izuhara (ed. ), Comparing Social Policies. Exploring New Perspectives in Britain and Japan, Bristol 2003. 28 See Mayumi Hayashi, The Care of Older People. A Comparative Study. England and Japan, London 2013. 29 Koichi Hiraoka, Welfare and Social Policy in Britain, Kyoto 2003, pp. 311-327. 30 For a discussion, see Mayumi Hayashi, The Care of Older People in Japan: Myths and Realities of Family ‘Care’, June 2011, URL: <http://www.historyandpolicy.org/papers/policy-paper-121.html>; Mayumi Hayashi, Testing the Limits of Care for Older People, in: Society Guardian, 29 September 2010, also available at <http://www.guardian.co.uk/society/2010/sep/28/japan-elderly-care-mutual-support>. 31 Hayashi, The Care of Older People (fn. 28), esp. chapters 5 and 6. 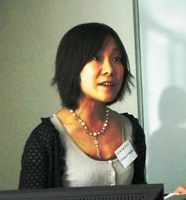 Mayumi Hayashi, Residential Care for Older People in Contemporary Britain and Japan. Recent Research Trends and Outcomes, in: Zeithistorische Forschungen/Studies in Contemporary History, Online-Ausgabe, 10 (2013), H. 3, URL: http://www.zeithistorische-forschungen.de/3-2013/id=4515, Druckausgabe: S. 471-478.